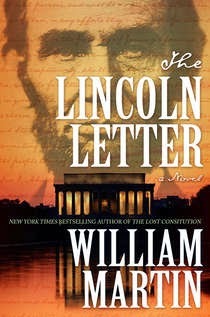 William Martin's latest novel is The Lincoln Letter. 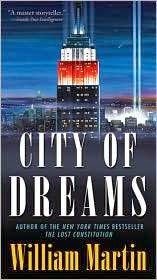 His many other books include Back Bay, Cape Cod, Annapolis, and City of Dreams. He lives in the Boston area. Q: How did you come up with the idea for The Lincoln Letter? A: I have always wanted to write about Lincoln and the Civil War. He is the central figure in the central event of our history. But what would my angle of approach be? My editor suggested the Emancipation Proclamation, and I was on my way. Q: Why did you decide to tell the story from the perspectives of two characters, one in the present day and one during the Civil War? A: It's what I do. 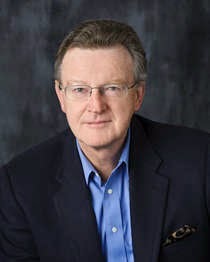 I've written all sorts of novels - straight thrillers, biographical fiction, Michenerian chronicle, historical adventure - but over the years, my readers have enjoyed the Peter Fallon novels the most. In those, rare book and document dealer Peter Fallon goes in search of lost documents, and as his search progresses, the history of the documents comes to life. I used the back-and-forth format the first time in 1980, in my first novel, when I was trying to do something I had never seen done in this kind of novel before. That novel, Back Bay, spent 14 weeks on the New York Times bestseller list, so I must have done something right. This genre, which I call "the really smart guy goes looking for lost stuff" genre, has grown hugely popular, but no one tells these tales quite the way I do. And there is a thematic reason, too. In all of Peter's adventures, as the history comes to life through his research, we realize how closely linked we are to the people of the past and their decisions. Q: Did you feel more connected to one of the two main characters, given that your present-day character, Peter Fallon, has appeared in others of your books, or not? A: I love working both sides of the coin. I love telling the fast-moving modern story that may unfold over a few days and the much broader historical mural that may cover years. Q: What kind of research did you do for the book, and was there anything that especially surprised you? A: I usually start my research by reading the most generalized texts, the classics, about a time or place, like Doris Kearns Goodwin's book on Lincoln, or the famous Reveille in Washington by Margaret Leech, the 1942 Pulitzer Prize-winner about the social life in the city during the Civil War. Then I dig deeper into primary sources like newspapers and more obscure texts like the 1895 book that David Homer Bates, a cipher operator, wrote about the War Department telegraph office during Lincoln's time. Then I walk the ground and try to feel the historical vibrations. I visit the battlefield and the historical buildings, like Lincoln's summer cottage and Ford's Theater. Q: Do you usually have an idea how your book will end when you start writing, or do you change the plot around as you work? A: I try to work from an outline or general idea, but I hope that the characters cry out for me to change things as I go. That means they are taking on a life of their own. A: The new novel is a Peter Fallon novel about the Gold Rush called The Mother Lode, so I'm visiting San Francisco a lot and going up into the Sierras. A: When I was a kid, I loved telling big stories on broad canvases, and it's what I have gotten to do in a career that has run for more than 35 years. I count myself pretty lucky, especially because I know that somewhere, right now, someone is reading one of my books and seeing American history through my eyes. That's a great satisfaction and a great responsibility with every book. --Interview with Deborah Kalb. 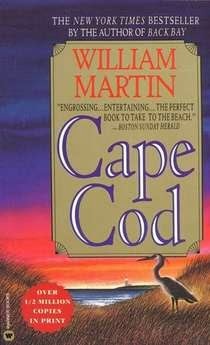 William Martin will be participating in the Bethesda Literary Festival, which runs from April 11-13, 2014. For a full schedule of events, please click here.